What you'll need! Plus some water to rinse when done. Try to put 1/2 part olive oil and 1/2 part dish soap. 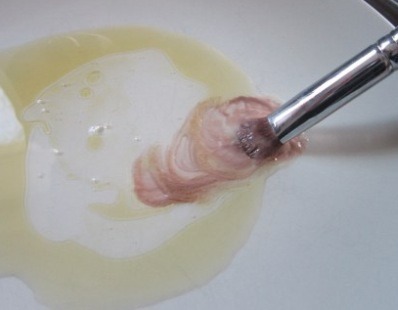 Then swirl brush around solution for about 20secs, you should see the make-up come right out. Then rinse off until you see water run clear. After set brushes flat on towel to dry over night.